Green can be neutral. A client requested we combine the green an taupe colors of the top left Tiger Eye with a Creswell Charcoal. The result, a group of subtle options - see below. 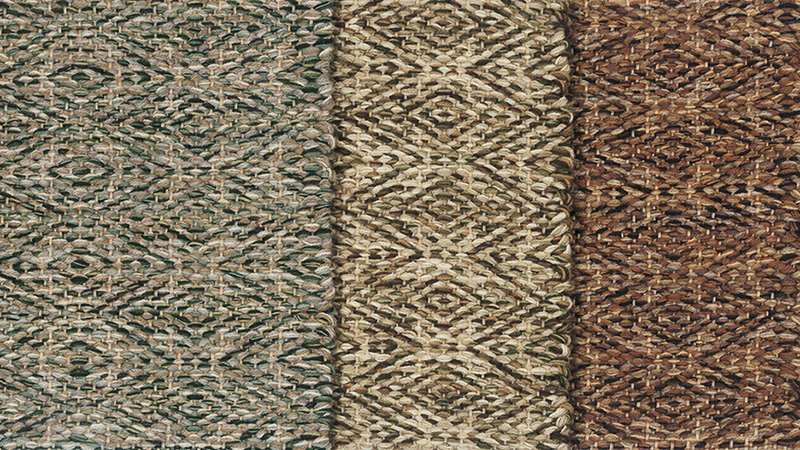 The first 2 options make the pattern bold so we went for a more tonal group for Option 3. It's all about the neutral to green proportion and coming up with the prettiest combo. Another example is this new Mosaic sample below. It's got this great dark green accent yarn but still reads neutral. 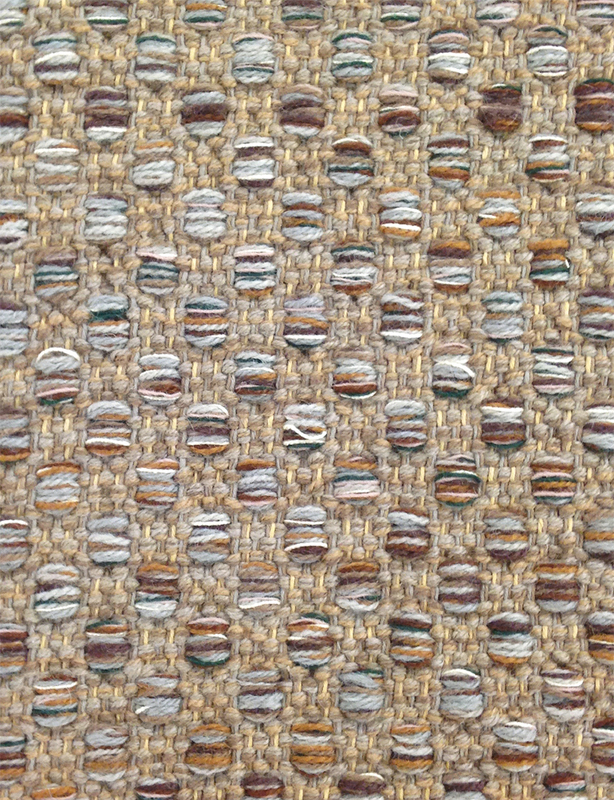 In a full size rug, the Mosaic "tiles" would appear to be different colors, depending on which warp yarns are on top at the time. 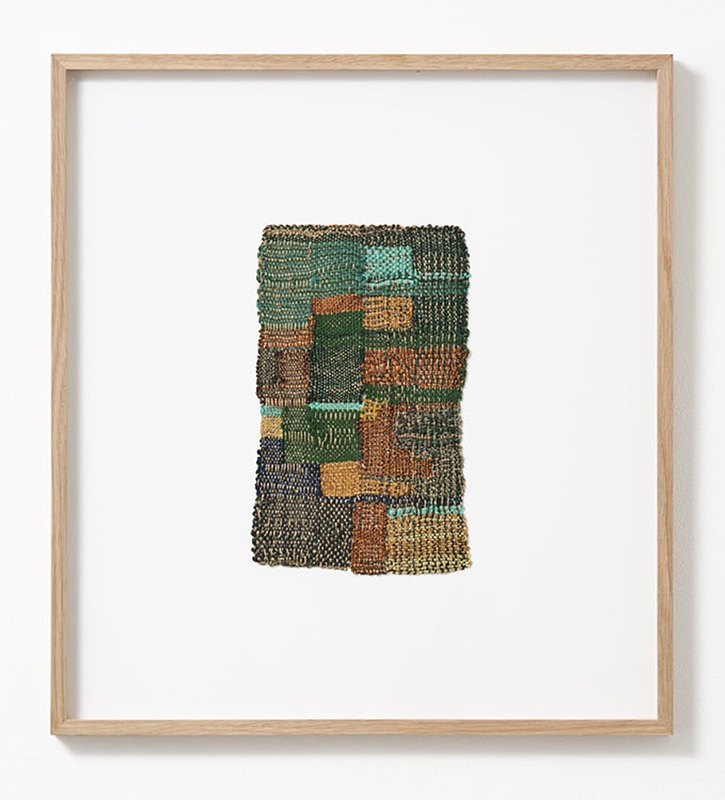 And we can always count on Sheila Hicks for inspiration. That pop of turquoise makes it sing. I wish we could do something more like this but tapestry weaving takes a long time.